Its so fun to look at the tablescapes and parties I did when I first started, and to see how my style has improved and changed. Its amazing to think that I STILL have and use some of the dishes and decor from this picture, they are worth the initial investment and pay for themselves every time you use them. If you’ve been on the fence about investing in real dishes and stemware, you may want to consider how often you’ll use them compared to the cost of paper and plastic over the years. I feel truly blessed to be able to change up my holiday themes every year, how fun right!? Its a big creative challenge and outlet for me to decorate using things from years past, mixing in new finds, figuring out colors/patterns and without it looking like I walked into a store and bought the display. 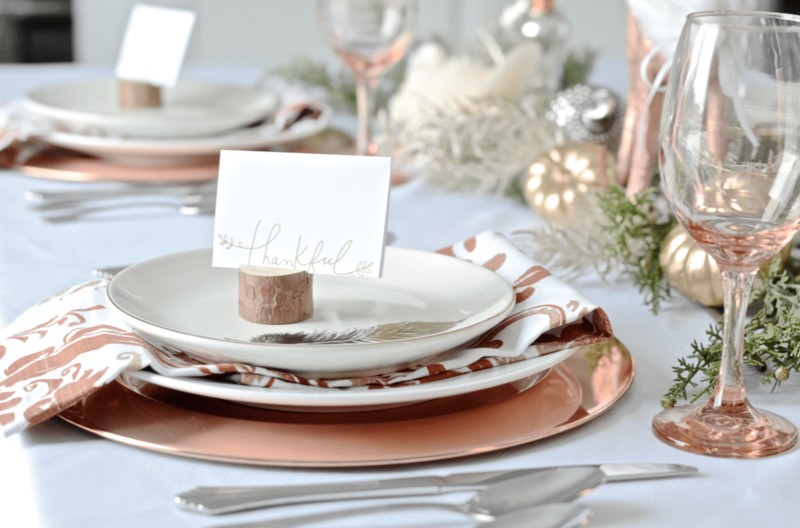 This years tablescape was inspired by these gorgeous copper chargers from Crate&Barrel. I initially went in to buy these “thankful” plates because I had my heart set on, which they were completely sold out of. Thats okay, I can do something different! So when I saw these copper chargers I knew I had to use them. 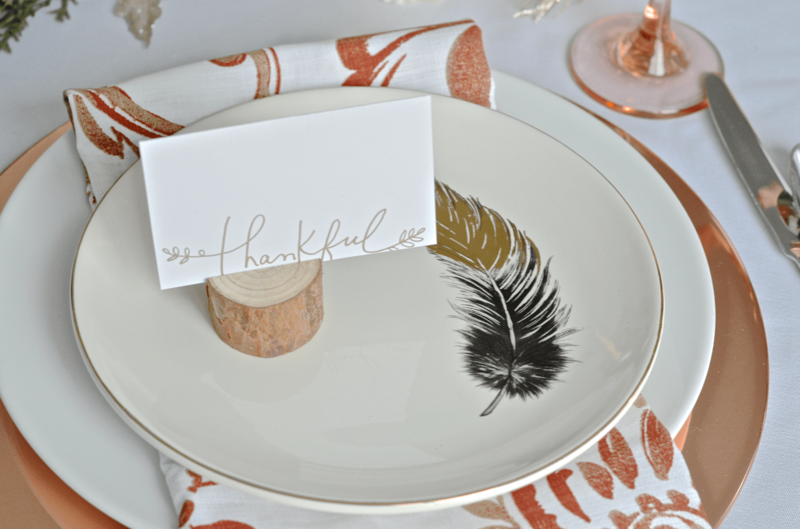 I did find these “thankful” place cards in store, so I was still able to tie them in easily. I used little tree branch holders and metallic painted mini pumpkins to hold the place cards. 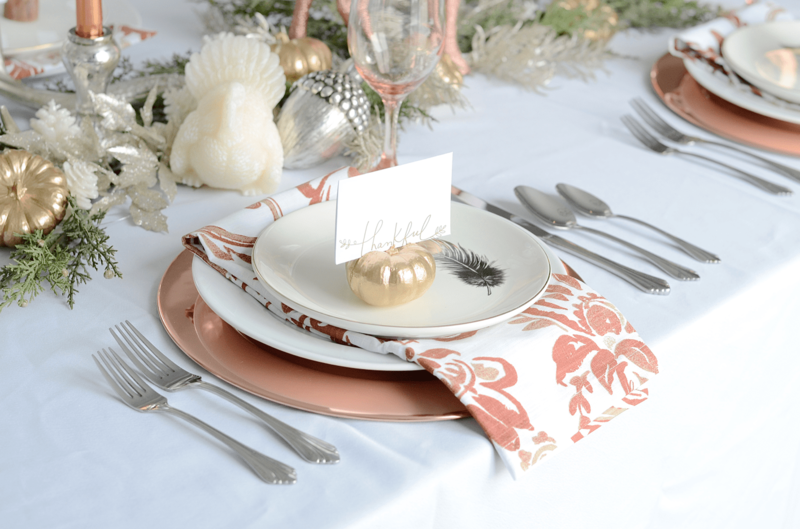 The silverware I had on hand (from my first Thanksgiving in 2012) and found the gorgeous napkins at Home Goods. 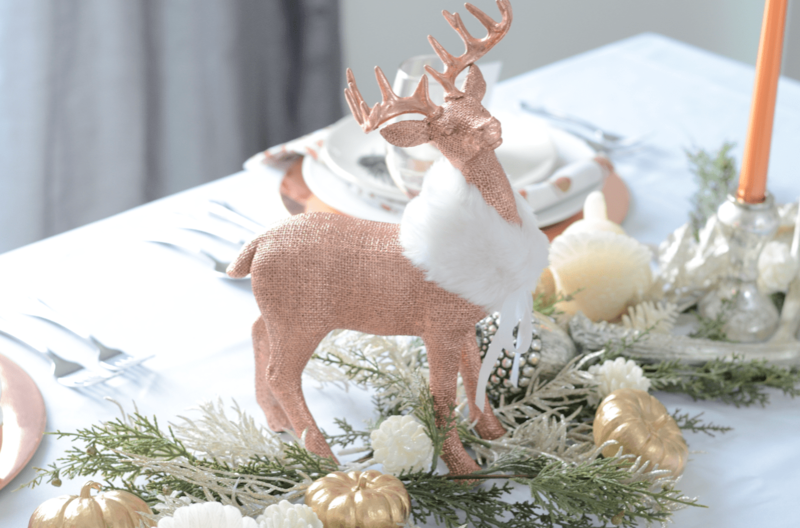 This whole look came together with different elements from Target, Home Goods, Hobby Lobby, Crate&Barrel and wait for it….The Dollar Tree! Yes ladies and gentlemen, the glasses are from the Dollar Tree, aren’t they just perfect!? 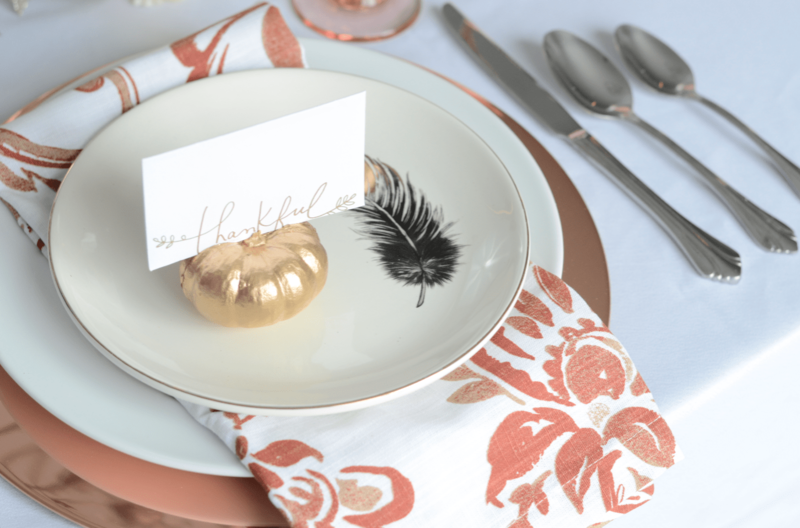 Proof that you can still make your tablescape nice, no matter your budget! 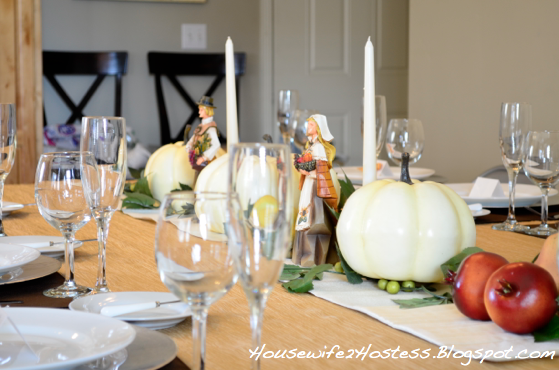 I hope this tablescape inspires you to make your Thanksgiving beautiful and memorable! Happy Thanksgivings my friends!